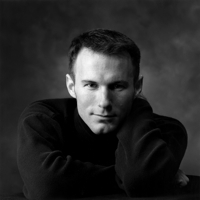 Jeff Hancock was a founding member and principal dancer for Ricer North Chicago Dance Company from 1991-2001. He was Associate Director of Same Planet, Different World Dance Theater. He also danced for Hubbard STreet Dance Chicago, Dance Kaleidoscope, Jan Erkert and Dancers, Joe Goode Performance Group and others. He has appeared in 5 productions with the Lyric Opera of Chicago, most recently working with Wayne McGregor or Random Dance and Sir Peter Hall. Jeff is currently on faculty at Columbia College, Northwestern University and Lou Conte Dance Studio. He teaches Master classes nationally and internationally at Ballt Nurnberg, University of Arizona-Tucson, Ohio Northern University and others. His choreography has been set on River North Chicago Dance Co., Hubbard Street II, SPDW, Columbia College, Chicago's Next Dance Festival, the Edinburgh Festival and numerous regional companies. He was nominated for a Ruth Page Award for his dancing and choreography.